Its spring time and its time to change the upholstery, move away from the heavy fabrics and move in to light airy material. 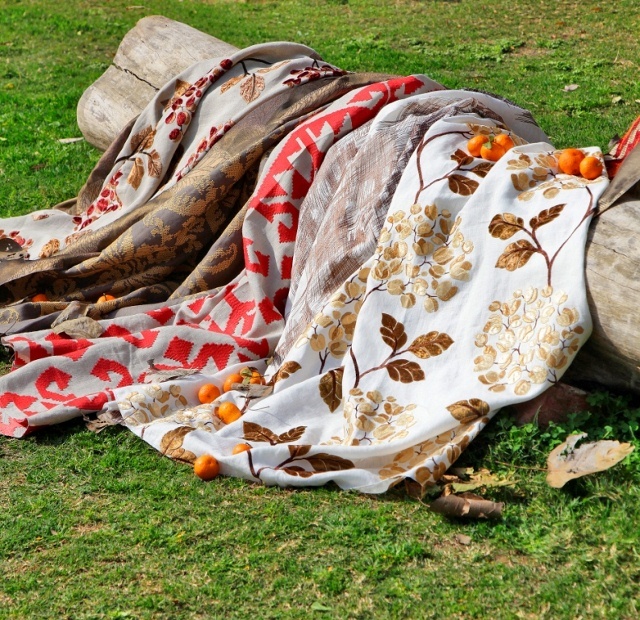 Using natural fabric, inspiration from her travels around the world and Indian embroidery Sarita Handa brings together her latest “luxe” collection for the Spring. Classic cottons, silks, linens in fashionable colors and sheers in soft muted tones .The array of techniques used in this collection is vast; a mix of Jacquard’s and embroideries;different textures of hand crafted Aari work, Ikat patterns with a twist. 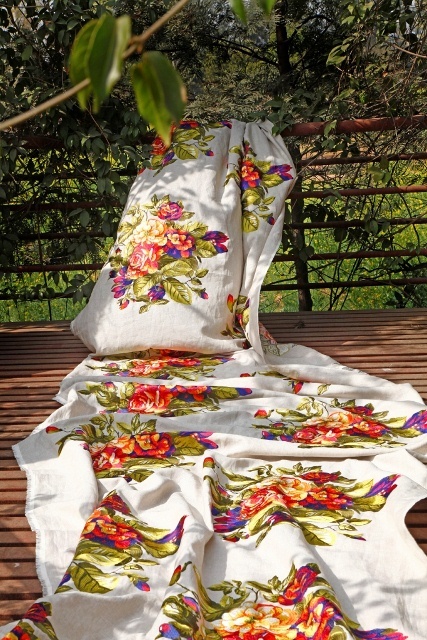 As well as embroidery and beautiful floral patterns where the play of color brings alive the natural beauty of the design. Sarita Handa’s designs are a rare compilation which will be hard to find elsewhere. 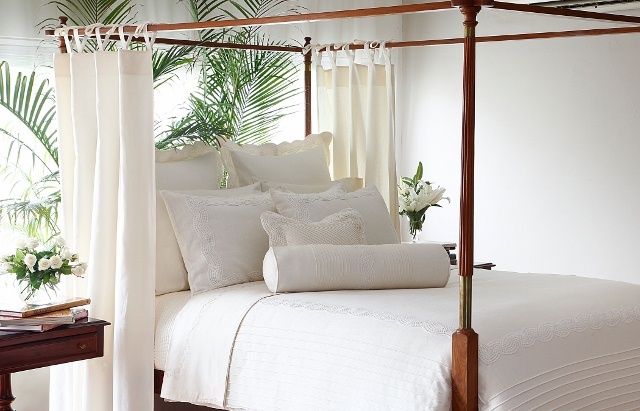 Established in 1992, the company sells to major retailers around the world like Pottery Barn, Macy’s, Zara Home and Bloomingdale. They are now available in New Delhi at Khan Market. 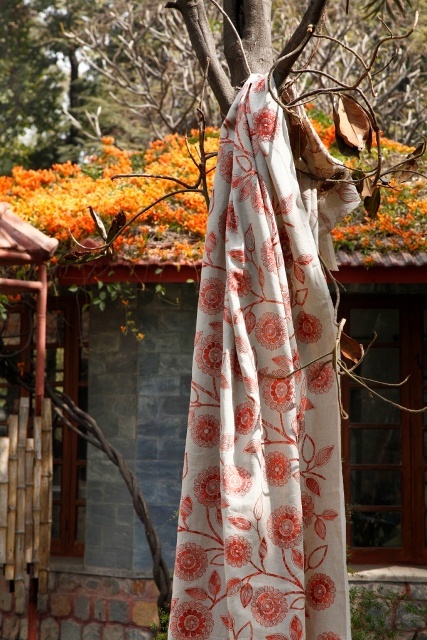 In addition to the bedding and fabrics collection, ‘SARITA HANDA’ has also brought to India a beautiful range of Merino Wool blankets from Brun de Vian-Tiran, who have been manufacturing natural blankets for over 200 years in France. 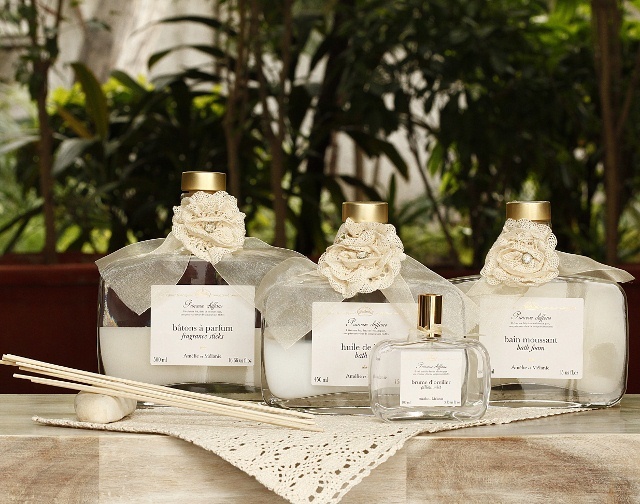 The bathsection not only has plush Egyptian cotton towels, matching bathmats and bathrobes from Turkey, but also exquisite bath products from the French brand Lothantique’s ‘Amelie & Melanie’, which ‘SARITA HANDA’ has introduced for the first time in India. The range includes bath oils, soaps and incense sticks formulated using natural elements and ingredients to offer the most enduring fragrances. Posted on March 7, 2012 March 9, 2012 by AparnaPosted in Decor, Design, Lifestyle, UncategorizedTagged Amelie & Melanie, Brun de Vian-Tiran, cottons, decor, design, embroidery, Fabric, ikat, Lifestyle, linens, Merino Wool, spring, Textile.